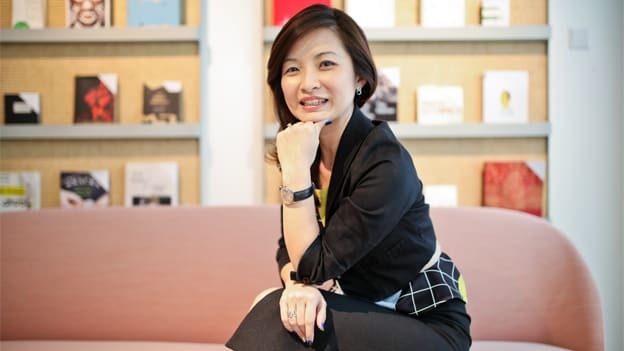 In an interesting conversation with People Matters, Merle Chen, Chief Talent Officer of The Lo & Behold Group, highlights the importance of a company culture that cultivates connections first between colleagues and creating awesome experiences for guests at their concepts. Running the show of one of Singapore’s leading hospitality groups, Merle Chen, Chief Talent Officer at The Lo & Behold Group leads by example. She heads the Human Resources, Talent & Organisation Development (HR T&OD) team at the group and aspires to “create awesome experiences” for employees. In this interview with People Matters, Merle Chen discusses the HR transformation journey enabled by technology and the “people-first DNA” at the company. You joined The Lo & Behold group in early 2017. What has been this journey like? Having had the benefit of experiencing excellent company cultures in my past roles in the private and public sector, I am passionate about how HR can play a pivotal role in shaping an organization's culture through its people – acquiring the right and best talent and helping them achieve success in their roles. I was moved by our Founder’s vision and strong commitment to put people first above profits. I felt that there was alignment between the kind of impact that I envisioned HR could have and the Group’s vision, mission and values. It has been an exciting journey thus far. Driven by our mission to create awesome experiences for our people, we have, in a short span of time, achieved much and made positive impact through the conceptualisation, design and implementation of new frameworks for Leadership & Core Competency, Performance Management, Compensation as well as developing a Learning Curriculum that would support the continuing professional and personal development for our colleagues. We also refined our Orientation and Onboarding programmes to ensure new hires were treated with the Group’s brand of hospitality and felt welcome on their first day. It took us seven months to conceptualise, plan and implement these – all while managing the everyday operational needs of the business and planning for the launch of three new concepts! I am extremely proud of the HR T&OD team and their passion for the fulfilment of our vision and mission. I am cognisant that we could not have achieved this without strong sponsorship and trust from enlightened leadership. I am humbled by the support from our colleagues – which fuels mine and the team’s passion and desire to keep going even when it gets difficult at times. We have just embarked on a technology-led transformation journey which would contribute to the employee experience as well as increase the effectiveness and value of HR to the Group. How do you drive best-in-class human capital practices to achieve people and organizational outcomes? I believe that applying design-thinking has greatly helped us achieve and overcome substantial challenges. Our starting point was one of empathy – listening and understanding what the Group and employees truly needed. From there we tried to define and reframe the challenges of the previous systems, ideating with colleagues and using this information to develop a viable framework. While this sometimes meant reframing the problem altogether, it allowed us to get much sharper and more effective with the framework. We would then launch the framework as a prototype; testing and refining it based on the feedback received and the new insights uncovered. When you look back, what do you think has been critical to your success at The Lo & Behold Group? Two main things were key to our success. Firstly, I had ample support and trust from management with a clear mandate and alignment around vision, mission and values. It was because of this that we were able to achieve as much as we did. Secondly, the HR T&OD team was absolutely integral to this. They truly banded together to create and design the processes as well as developing the relationships necessary to ensure adoption throughout the rest of the Group. The Lo & Behold Group has a staff turnover rate almost 30 percent below that of the industry's average. What is it that makes The Lo & Behold Group so unique in its employee engagement and employee retention? I think it is a combination of factors. Firstly, one of the Group’s key priorities is how we can create awesome experiences for our employees. Secondly, it is because of this, I feel, that the Group’s culture is truly lived and breathed by our people. By putting our employees first, we equip the passionate people who join us to go on and create awesome experiences for their fellow colleagues and guests. It goes beyond lip-service, from the ground-up, and that is a very compelling reason for people to stay with us. Is it about identifying, hiring and grooming people who have "people-first DNA" or do you leverage technology and learning as an opportunity to groom that calibre in talent? I think it is all of it put together. It is definitely important to recruit the right people and making sure they fit in with the company culture. One of the key things we look out for in selecting management talent is leadership potential and we begin by evaluating the habits and standards that they live by and how they treat other people. Technology and learning can definitely help groom this but it will always come back to the people, their dispositions and culture first. The Lo & Behold Group is one of the first companies to use digital technology to transform how they do business externally and internally. How are you thinking of leveraging technology for future? Being in the business of creating awesome experiences, technology, and innovation is more of a supporting tool to help us focus on what is critical to achieving this. For example, the investments we have made in unifying our finance and HR platforms will alleviate administrative tasks, enabling these departments to function more as value-adding partners to the business. That person-to-person interaction cannot be replaced with technology but we are always looking at ways to leverage innovation to allow our people to focus on that critical interaction instead of administration and manual support work. How challenging or easy was it for you to build a business case to implement technology? We built our case around what would best enable us to create awesome experiences for our employees which was our overarching priority. Going in with this mindset, we could realistically assess the benefits of the various systems available and build a compelling case for implementing the unified platform we eventually decided on for HR and Finance. What do you think HR should be doing as a function? HR should always have the business’ priorities as the main focus. This involves an almost constant (re)evaluation of our current state, horizon scanning of developments - political, economic, technology, socio-cultural - that may have an impact on the business and thereafter, taking the appropriate interventions or plans where it comes to HR, Talent, Learning & Organisation Development. In this manner, HR should also be familiar with technology and the digital world, leveraging them to deliver the same value more efficiently and effectively. Human capital is the single biggest resource and an especially critical one in hospitality. For The Lo & Behold Group, HR can play a definitive role in bring value and a competitive edge to the business through inculcating the right HR practices, policies and processes in developing talent for current and future needs, but more importantly in facilitating and creating an environment that generates and fuels energy and passion and awesome-ness (as we like to call it) among its people.